Installation view of the Markus Lüpertz installation. Photo: Lee Stalsworth. In the sixties, when Markus Lüpertz began his career, the arts in Germany were in a tenuous situation. After World War II, critics and artists in the new West German state had embraced abstraction. 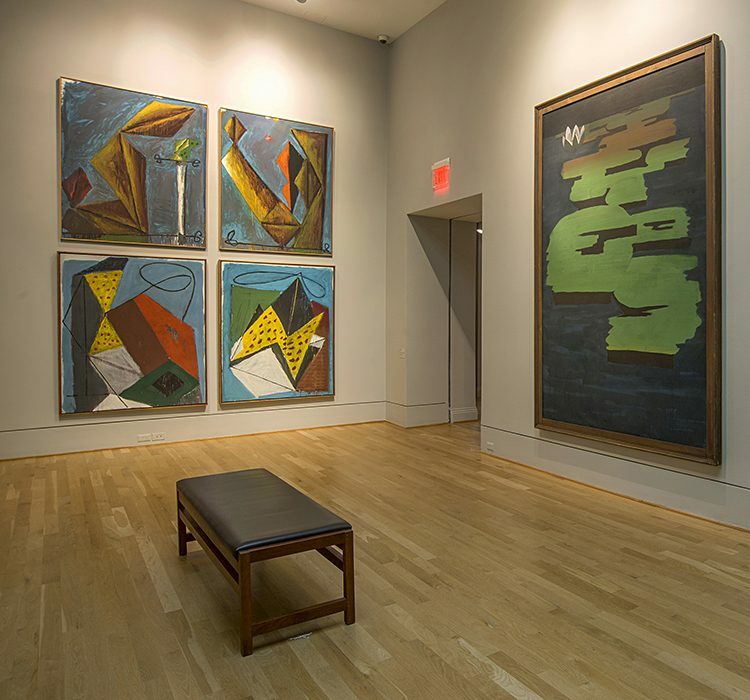 Artists like Willi Baumeister and Ernst Wilhelm Nay created totally abstract compositions that were distinct from, but also connected to, international trends in the United States and France. Yet, while there are indeed broader historical implications to Abstract Expressionism in the US and Informel in France, the avoidance of representational imagery in West Germany came to be viewed in the decades following the war, as an avoidance of history itself. Artists spoke of a “year zero” and often created primordial looking abstract forms that appeared outside of history, as though going back to some mythic beginning or abstract, pre-historical origin could escape the trauma and horror of Nazism and the Second World War. This entry was posted in Exhibitions and tagged abstract art, contemporary artists, german artists, Markus Lupertz, postwar germany. Bookmark the permalink.